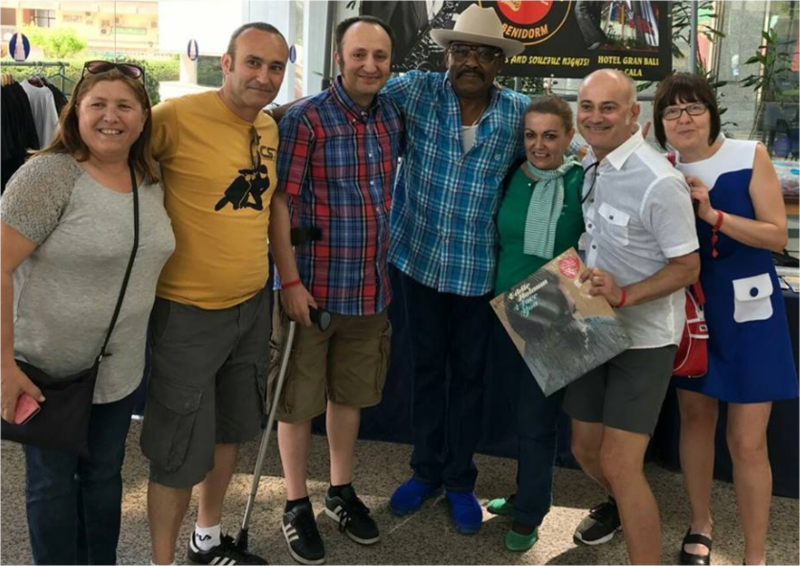 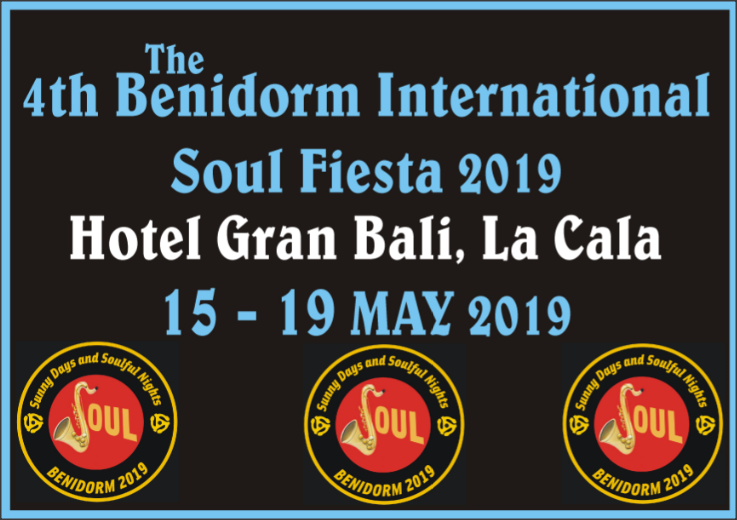 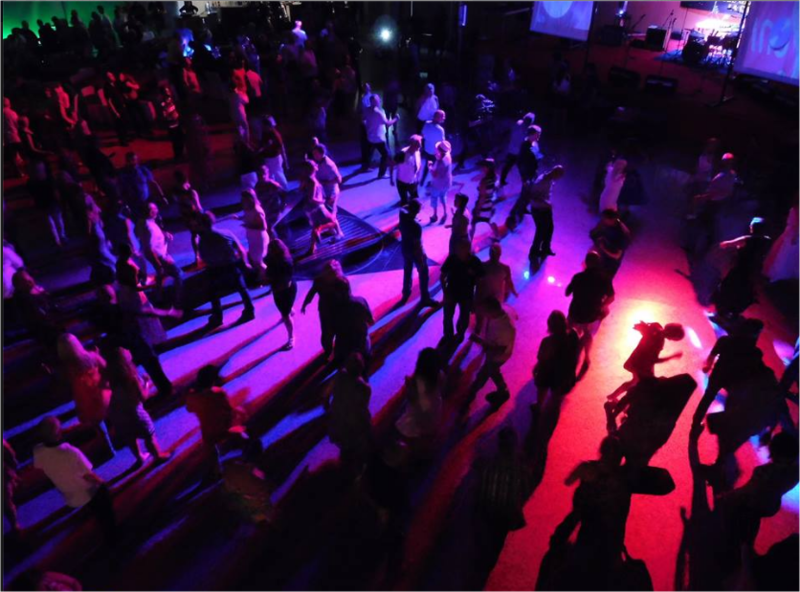 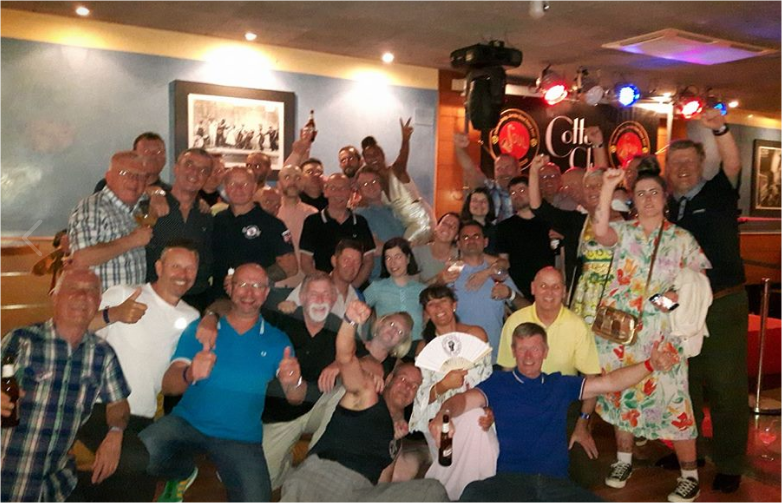 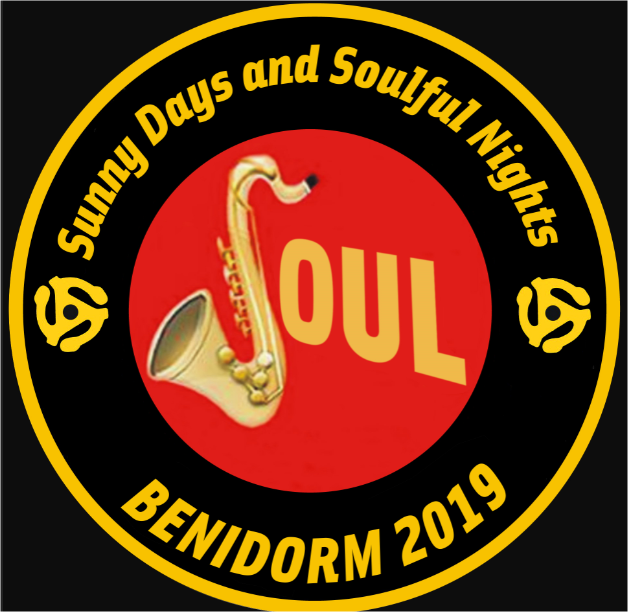 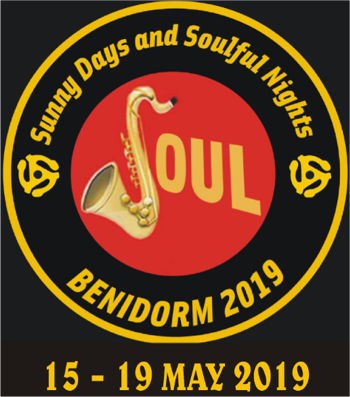 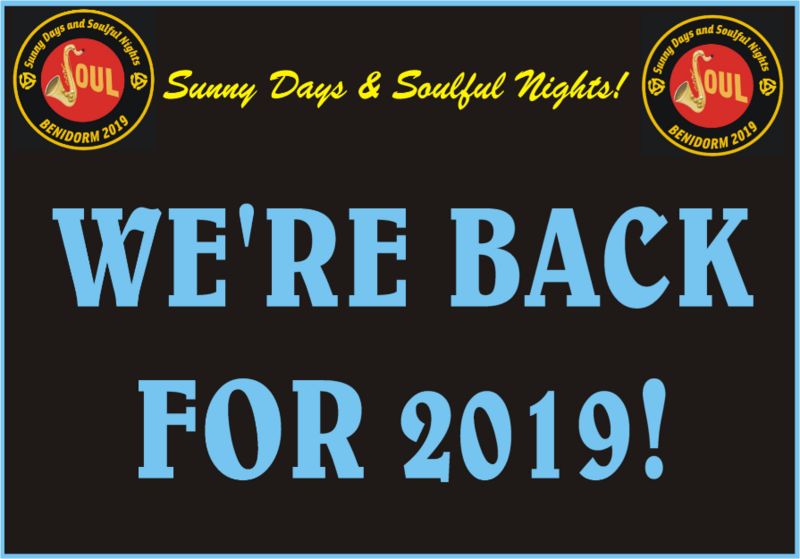 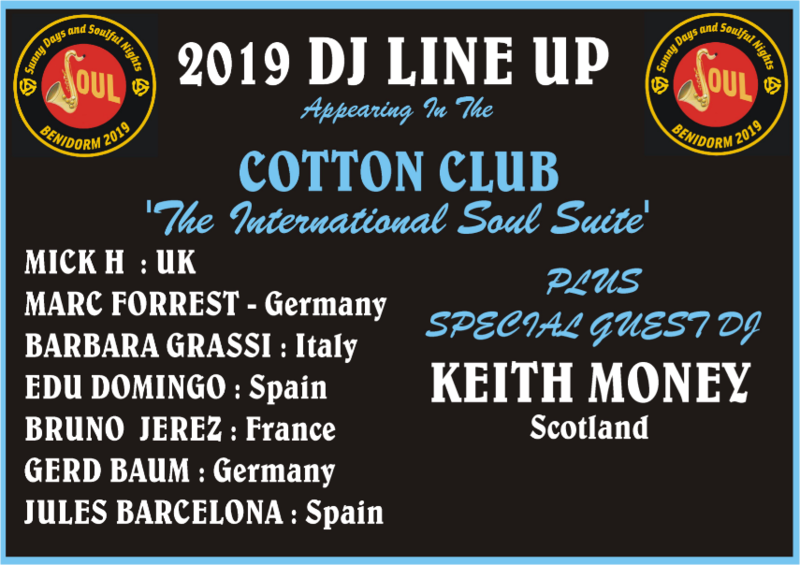 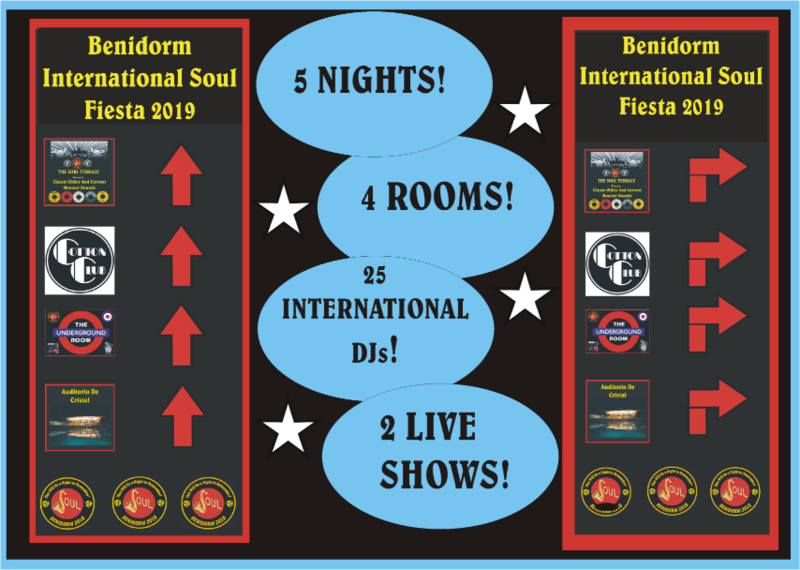 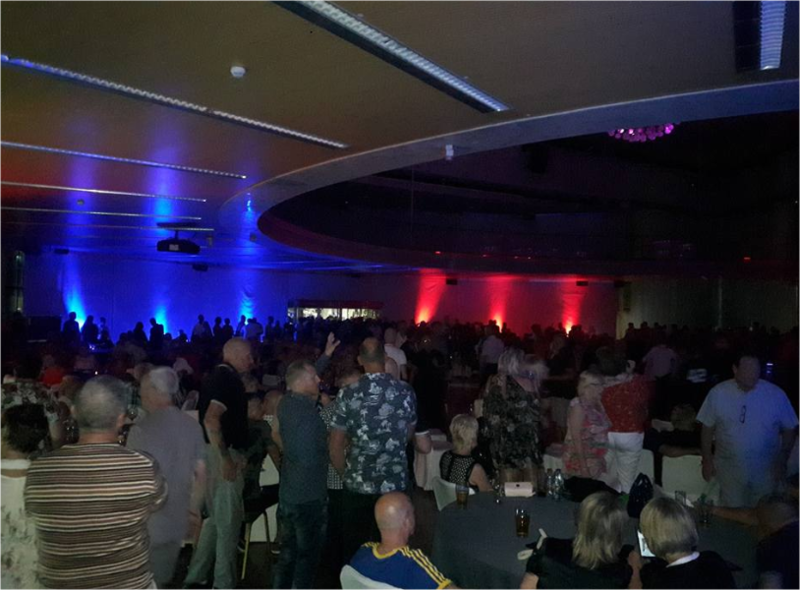 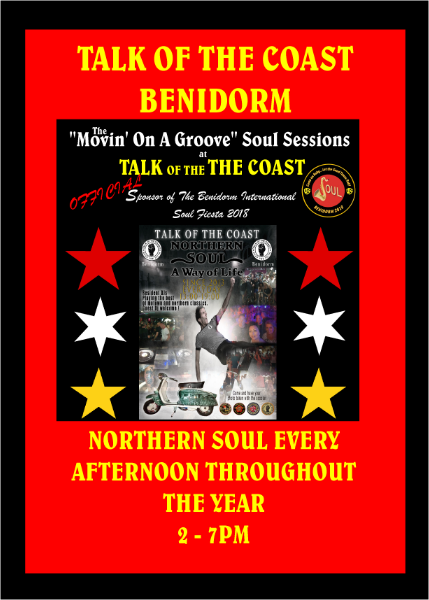 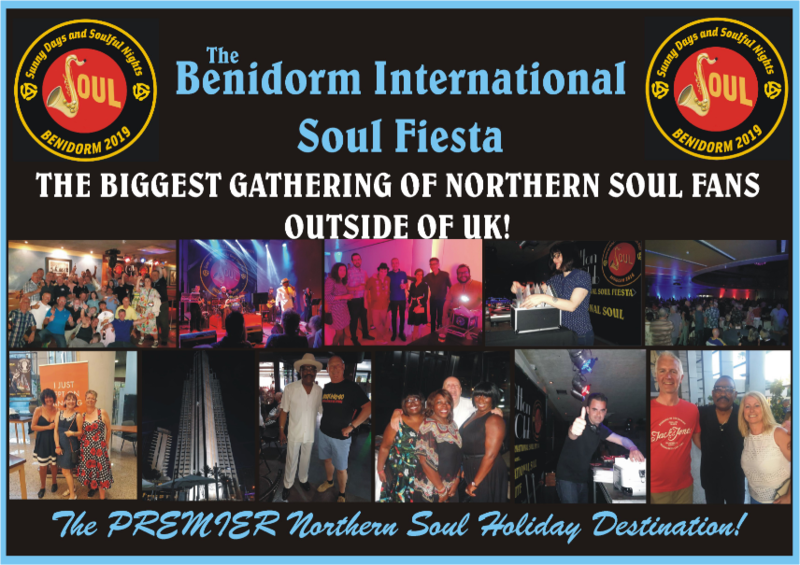 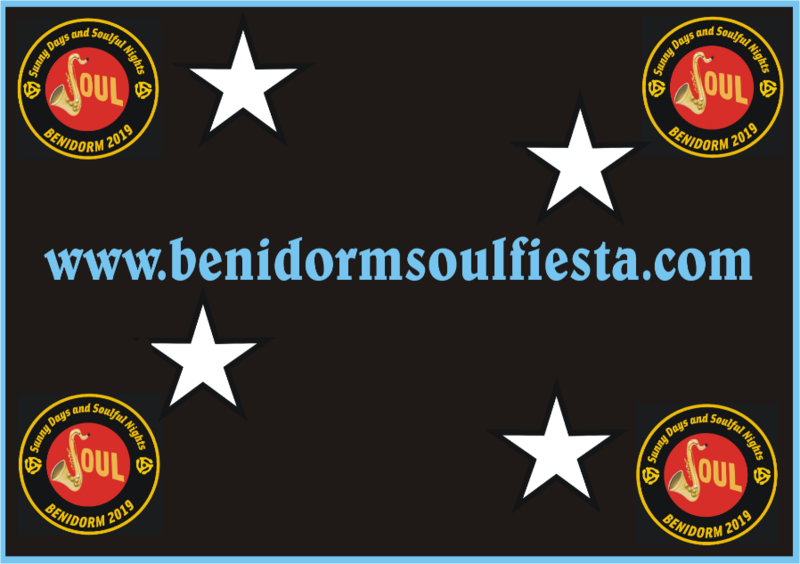 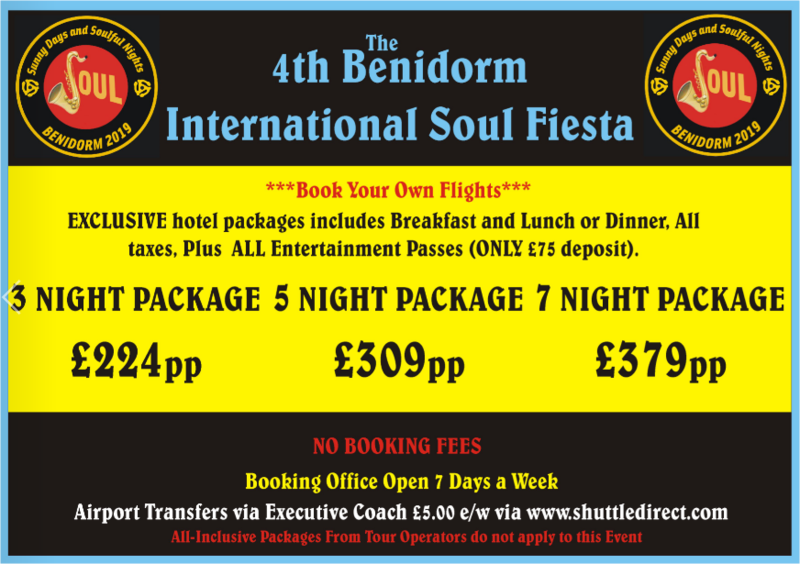 The Benidorm International Soul Fiesta is the brainchild of long time respected UK Northern Soul promoter Chris Burton and Spanish based long time soul record collector and archivist, Dave Moore. 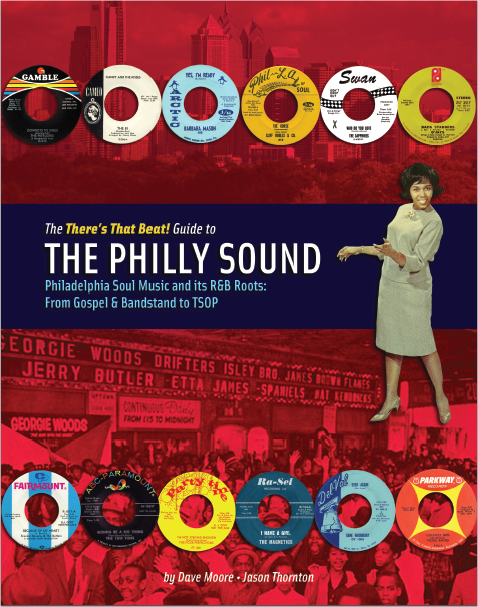 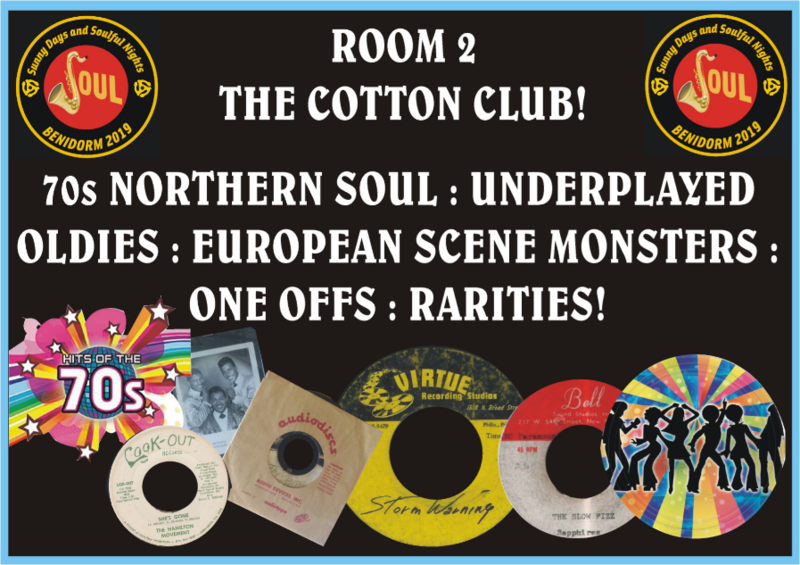 Chris’s name is synonymous with legendary soul club The Golden Torch that carved a never to be forgotten place within Northern Soul circles, whilst Dave is the ‘chief cook and bottle washer’ for the Hitsville Soul Club and is also the author of the sensational book, “Philly Soul : It’s Roots And History”. 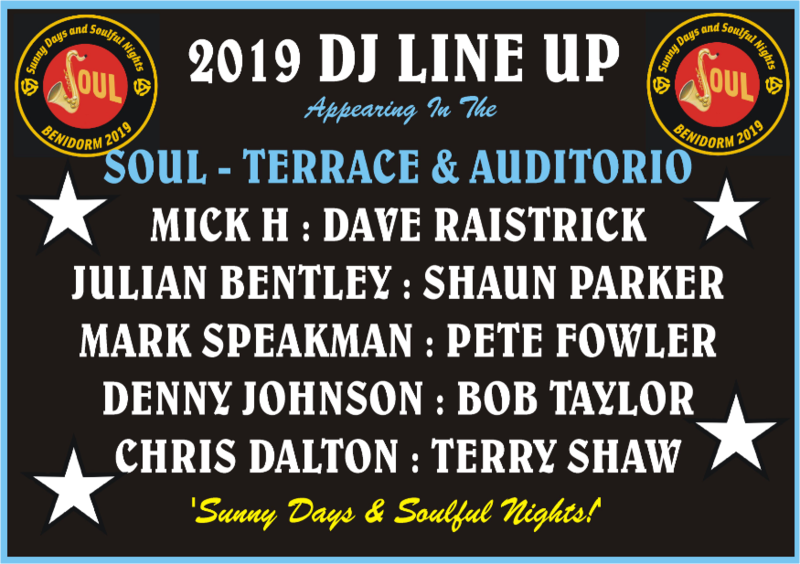 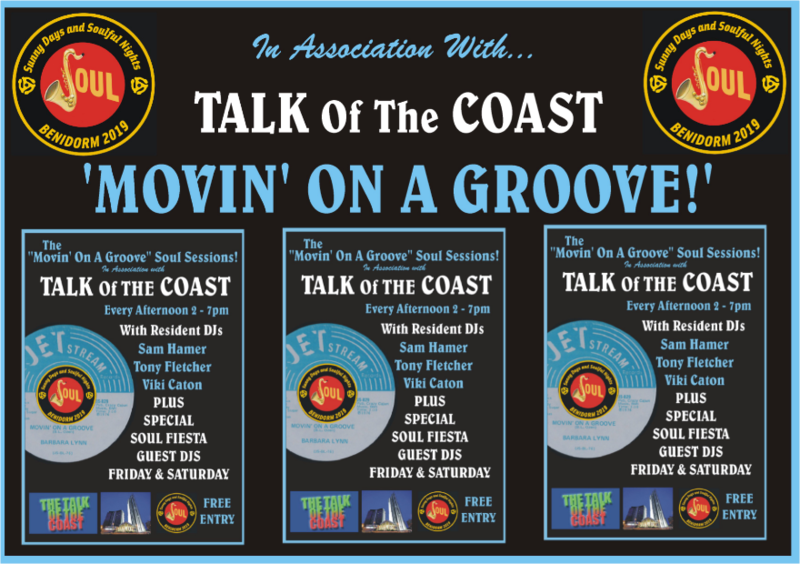 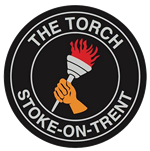 Both Chris and Dave have reputations within soul circles for delivering quality events and both have an affinity with the creators of the wonderful music known as Northern Soul. 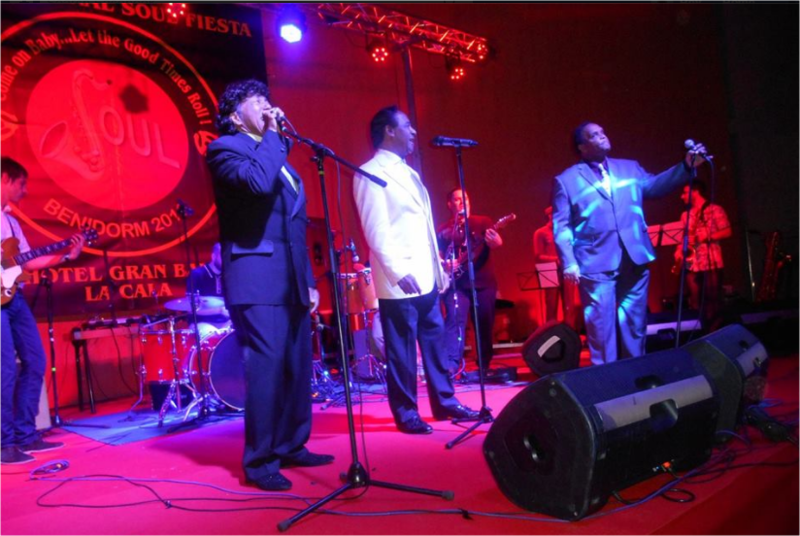 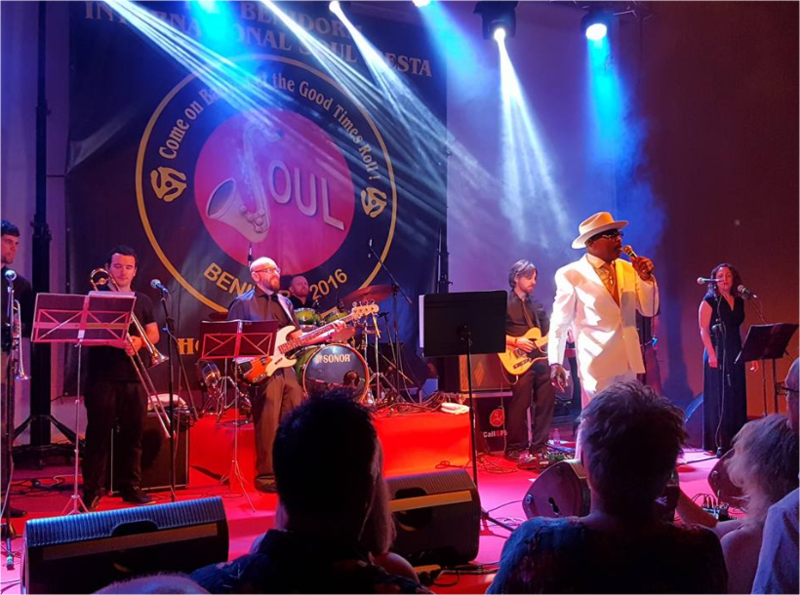 This passion was realised in May 2016 when Soul Fans from across the globe exceeded all expectations and converged on the Hotel Gran Bali for the inaugural Soul Fiesta and were treated to a week of top class entertainment. 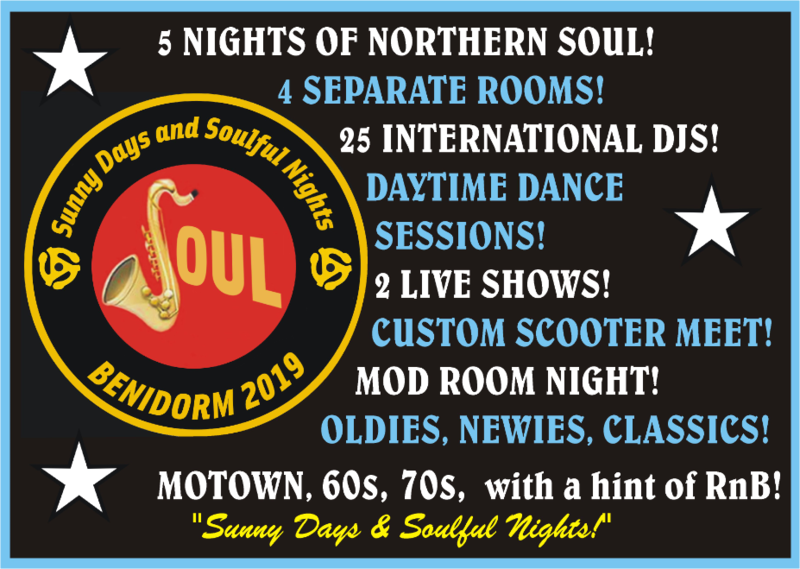 DJ’s from across the UK, Continental Europe and Australia playing world class music, topped by a spectacular Live Show featuring performances by Bunny Sigler, Dean Courtney and Ronnie Walker backed by one of Europe’s top soul bands Al Supersonic and The Teenagers! 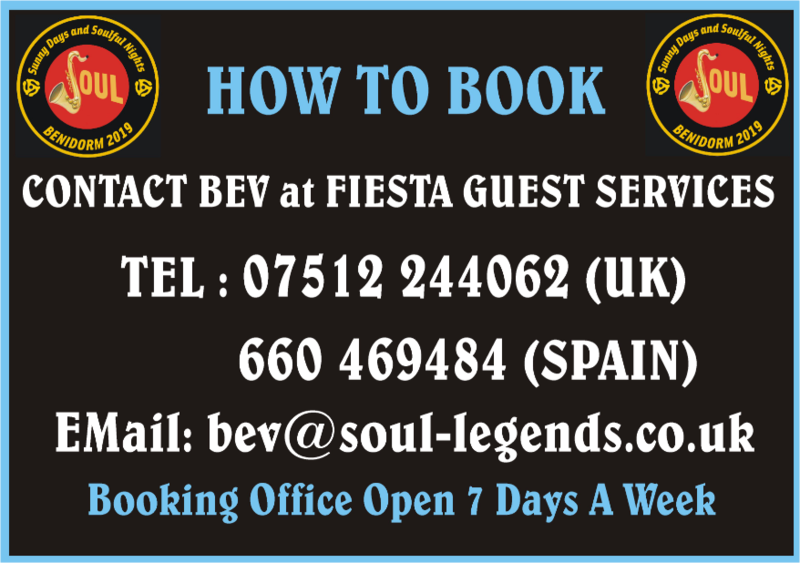 That was followed by 2nd Soul Fiesta in 2017 that exceeded all expectations with the addition of The Underground Room. 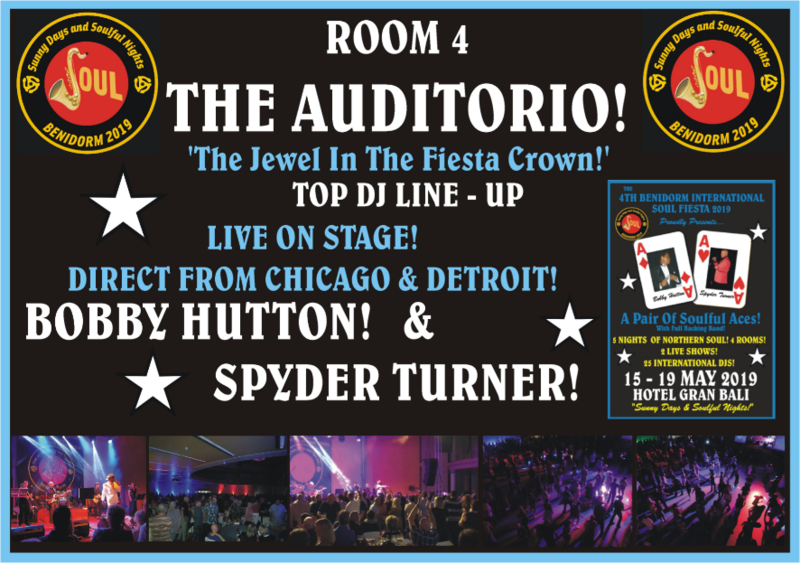 Featuring two Spanish Live Bands, and Detroit´s The Adorables headling the show in the Auditorio de Crystal on Saturday night. 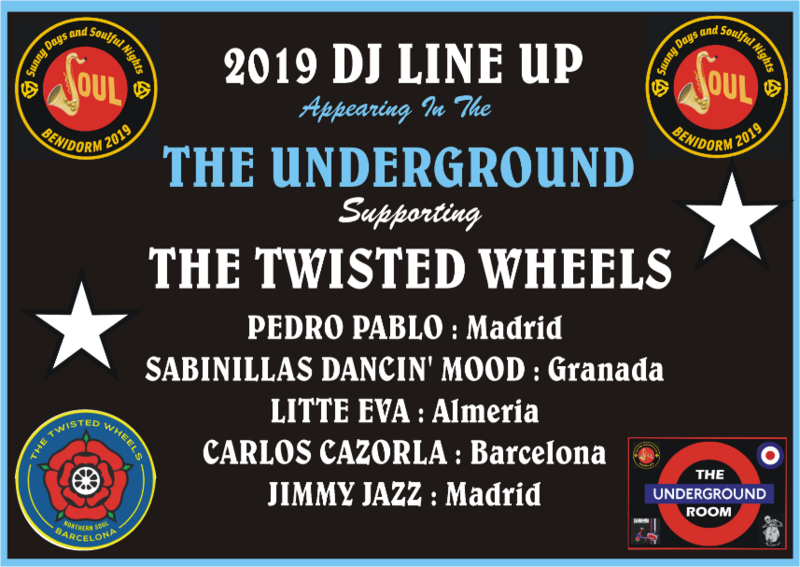 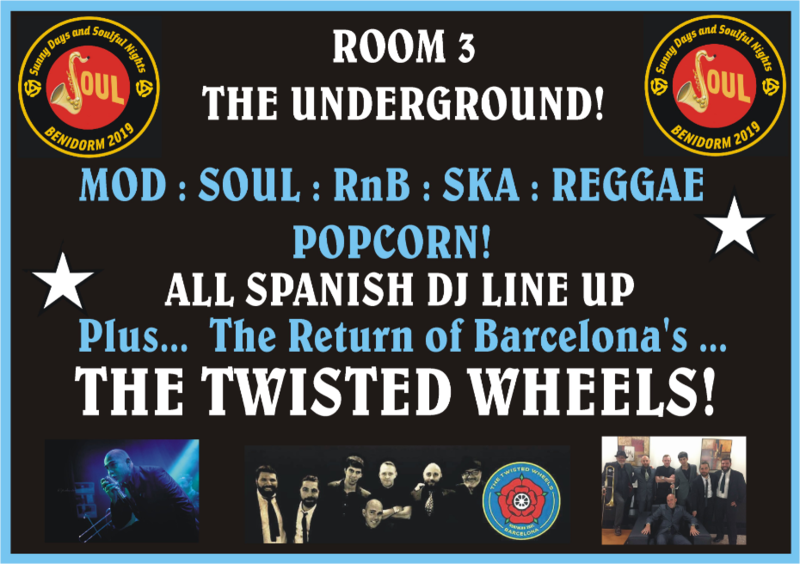 In 2018 the Fiesta featured iconic Philly Soul Man Eddie Holland who, backed by Barcelona’s very own The Twisted Wheels, delivered a tremendous, stand out performance that will never be forgotten! 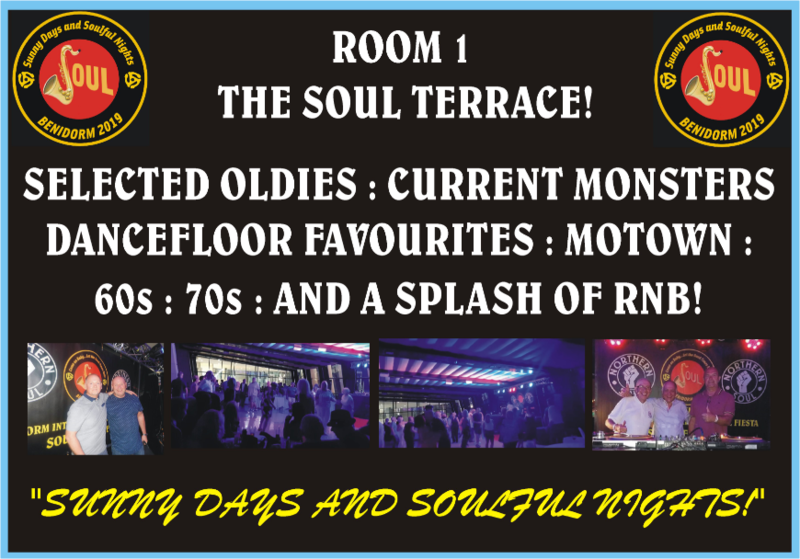 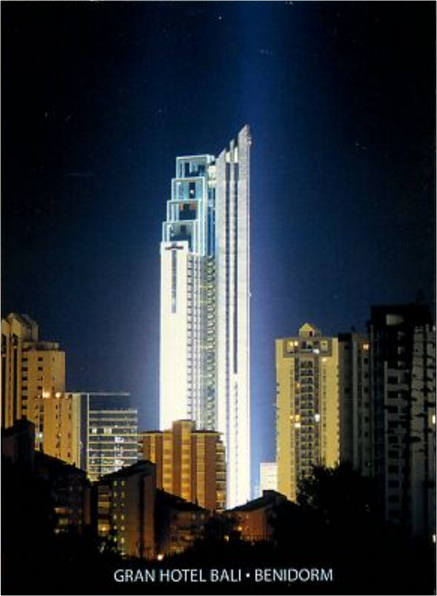 Sunny Days….. and Soulful Nights!